Dementia is not a disease but a group of symptoms that are caused by diseases that affect the brain. It may impair one's memory, judgment, and reasoning. There are multiple diseases that affect the brain and cause dementia. The most common cause is Alzheimer's disease which accounts for 60-80 % all cases of dementia. There are a variety of symptoms that may occur, however not all symptoms are experienced by all people who are diagnosed with dementia. People experience memory loss, changes in mood and personality, and difficulty with managing daily activities both complex and simple. While dementia is more frequently seen in the older population, it is not a part of normal aging. What changes will be seen with Dementia? Symptoms vary from person to person and do change over time. Early you may see confusion, difficulty concentrating, difficulty with speech, or getting lost in a familiar place. Late in the disease, anxiety, aggression, hostility, inability to self feed and loss of bladder and bowel control become evident. Who is at risk? Studies indicate that high blood pressure, smoking, and diabetes may be risk factors for dementia. Additionally excessive alcohol use, and repeated head trauma have been shown to contribute to dementia. What is Alzheimer's Dementia? Alzheimer's disease is when naturally occurring proteins in the brain malfunction. These proteins are Amyloid and Tau. It is believed that both serve a protective function however when they malfunction, they disrupt the signaling between brain cells leading to memory loss and cognitive dysfunction. Is Dementia treatable? There are medications available to slow the progression of the disease, and aid in controlling the symptoms, however there is no cure. Underlying diseases such as diabetes, high blood pressure and high cholesterol need to be treated as well. Brain fitness is use of brain stimulating games, and mental exercises that maintain brain function such as word searches, crossword puzzles. Engaging in social activities also stimulates the brain. There are drugs that have been used since 1997, known as cholinesterase inhibitors, which work to inhibit the breakdown of acetylcholine, an important neurotransmitter associated with memory. These are used for early to moderate disease. Namenda or Memantine is another medication that works to protect the brain from further damage caused by Alzheimer's disease. Herbal supplements such as Gingko Biloba have not been shown to reduce risk of or treat dementia. Medications: Are they taking them? Correctly? An empty pill box is no indication that meds are taken correctly or even at all. Driving: Complex travel, sudden changes with directions, & navigating busy roads becomes overwhelming. Cooking: Becoming easily distracted, forgetting something is on the stove. Wandering: Leaving the house and not recognizing familiar landmarks, becoming lost. Falls: Poor safety awareness, impaired spatial judgment and /or forgetting to use an assistive device. Dementia is debilitating and can impose an enormous burden on patients and families and other caregivers. People with dementia become less able to care for themselves as the condition progresses. The more you know, the better prepared you are to care for someone with dementia, tap into the resources in your community and obtain information to guide and assist with daily challenges. Area Agency on Aging: http://agingcarefl.org/contact-us 1-800-963-5337. Department of Elder Affairs: http://elderaffairs.state.fl.us/index.php 1-850-414-2000. Arden Courts http://www.arden-courts.com , (727) 771-1600. The Alzheimer's Association provides an annual walk to raise money to fund research for treatments, counsel families, and train and support caregivers. "My Medical Access" is our team and we are participating in the Walk to END Alzheimer's with the Gulf Coast Chapter of the Alzheimer's Association at Threshers Stadium Clearwater , Florida. Please join us on Saturday October 29th – in person or in spirit. Fundraising is under way at each of our offices with a monthly gift basket raffle. Check our team on the Alzheimer's Association website. Kleinfield, N.R. : Fraying at the edges,The New York Times, May 1, 2016. 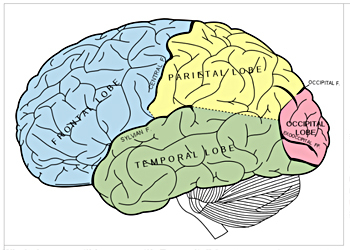 Marsa, Linda: Alzheimer's and the aging brain, DISCOVER, p 59-61, March, 2015.